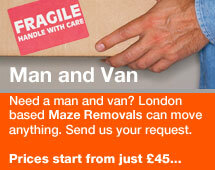 House clearance in Hertfordshire and London. Need a house clearance in Hertfordshire, London or anywhere in the UK. 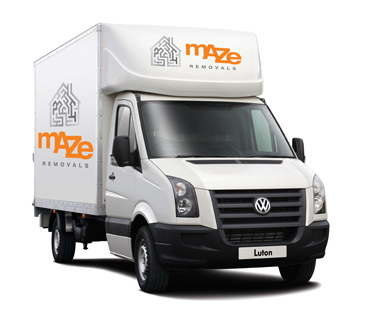 Maze Removals will handle any size house clearance for you at short notice and fully discreet. 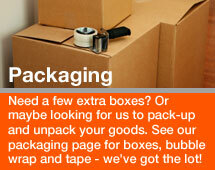 Our house clearance team can help you with removals, packaging, cleaning, and storage. We even offer a handyman service. We providing fully comprehensive house clearance in London to members of the public, legal and property professionals, executors and administrators, both in the UK and abroad. With affordable rates and professional service, from Brighton to Glasgow, you’ll make the right choice with us. Get a free quote now. Just complete our short quote form and we will get back to you with the best prices and services that suits your needs. We will clear houses and flats of any size. Houses and flats where access is limited or confined and no elevators available. Properties where there is no nearby parking. Business premises, shops and offices. 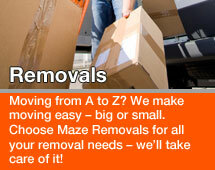 Additional services offered with our house clearance service. Heavy duty cleaning: After the house clearance is done, we can clean any or all of the rooms as per your request. We can carry out pest control. Do any repairs or renovations to your property. Garden maintenance: We can maintain the garden on a regular basis, and keep it clear of rubbish, so that the property appears cared for, so as to prevent illegal dumping and vandalism. We can clear the property then fasten and secure all doors and windows, we can also provide 24hr on premises security to prevent any squatting occurring. Dangerous materials and chemical removals. When doing a house clearance we will always clear your property completely, we will always show utmost respect for the property at all times. Our team will always leave the premises clean and ready for re-occupation or sale or transfer, this will be done discreetly and within the time frame specified. In the event that there is no value in the contents of the property been cleared, then in this case we would have to charge you for clearance which will include tipping fees at a local waste site and our labour. Should the items of the house include antiques, silver, jewellery, paintings and collectables. 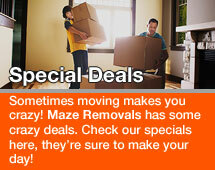 In this case we will give a good allowance and offset it against the cost of your clearance. If most of the items are antique or be of value then in this case if the value of the contents are more than the clearance costs, we will pay you the difference by method of your choice..
Where the contents have been valued for the purposes of probate, this value can be offset against the cost of a subsequent house clearance. Our fees start at around £300, for a small property, but will vary according to the amount of contents and number of rooms in the property. We use closed luton vans and all the contents is removed from the property on the same day, this is much better value than other options, such as skip hire or 'price per load'. Confidential documents and items of a personal nature? Should we come across sensitive items and confidential documents and or photographs, then we will handle these items with the utmost discretion. should you choose, we can destroy them by shredding and disposing of them. 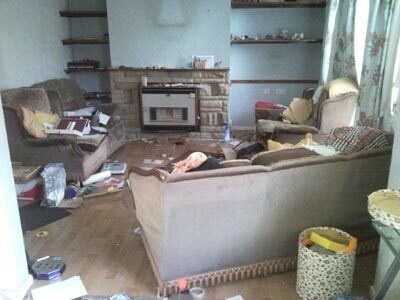 Our house clearance serevice covers a wide area in London, Hertfordshire, Berkshire, Buckinghanshire. Here is a list of some of the towns we cover : House Clearance Watford, House clearance St Albans, House Clearance Hemel Hempstead, House Clearance, House Clearance Harpenden, House Clearance Hatfield, House Clearance Rickmansworth, Chorleywood, House Clearance Amersham, House Clearance Chalfont St Giles, House Clearance Denham.